If it has to do with scrapbooking, you'll find it in this encyclopedic colection! 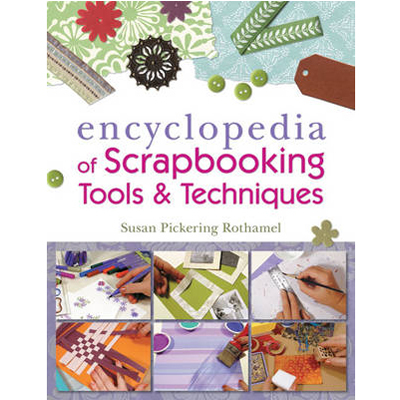 Every essential scrapbooking tool or technique is described here. What is acid migration and how can you avoid or slow the progress of it? How do you use a bone folder? What page composition guidlines should you keep in mind? Store this encyclopedia near your supplies because you're going to refer to it often!